This is workshop introduces the concept of ROI, the fastest growing metric for evaluating HR and learning and development. Participants are exposed to the ROI MethodologyTM, which includes developing objectives, collecting data, isolating the effects of the program, converting data to monetary values, tabulating appropriate program costs, and calculating the ROI. 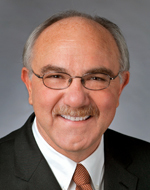 Jack Phillips, Ph.D., is Chairman of the ROI Institute, the leading provider of services for measurement, evaluation, metrics, and analytics. A world-renowned expert on measurement and evaluation, Phillips provides consulting services for over half of the Fortune 100 companies and workshops for major conference providers worldwide. Author of the first book on training evaluation in the USA, Phillips has authored or edited more than 75 books. He is the developer of the ROI Methodology, the most used evaluation system in the world. His work has been featured in the Wall Street Journal, Bloomberg Businessweek, Fortune, and on CNN. Click here to read more and access the flyer.